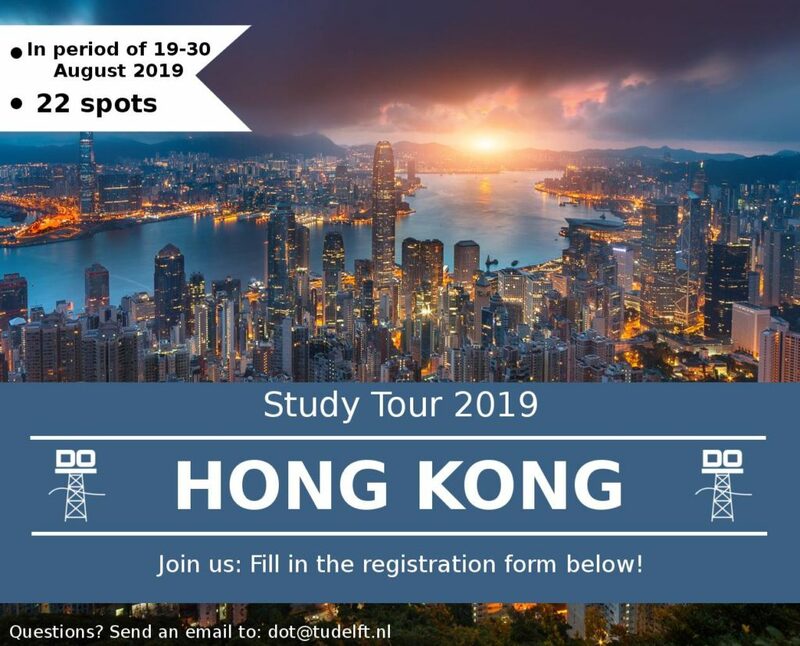 We are proud to announce the registrations for the DOT Study Tour 2019 to HONG KONG have been opened! The DOT Study Tour will take place August 2019, visiting Hong Kong. The goal of the Study Tour is to give you a broad perspective on the activities in the Offshore & Dredging Industry. And what place better than Hong Kong to achieve this, with its broad offshore industry and refreshing technologies! During these 14 days you will experience an overload of Offshore & Dredging Engineering, visiting many yards and businesses. Of course, there will also be plenty of time to explore the city on your own and have fun with the other students.